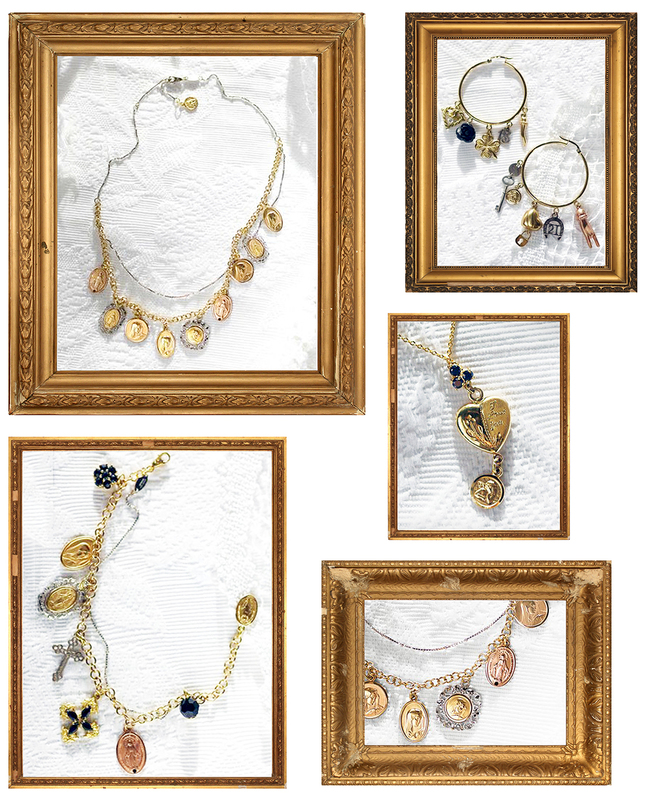 Italian designers Dolce & Gabbana recently revealed their new fine jewelry collection, and it is stunning. 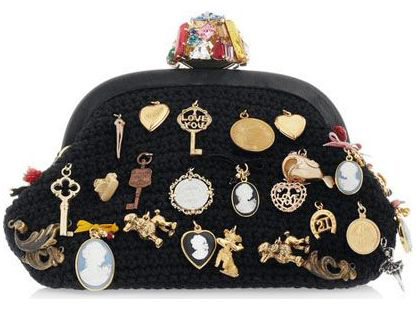 We have seen charms from Dolce & Gabbana many times before, not least in this amazing wool clutch, but nothing quite like this. The new 80-piece collection is all handmade 18k gold – white, rose and yellow – embellished with rubies, sapphires, black jade and freshwater pearls. The designers say they were inspired by their heritage, and Sicily in particular (one of the lines in the new collection is even called “Sicily”), and wanted to create jewelry that had the look and feel of heirlooms that have been passed down for generations. Italian supermodel Bianca Balti stars in the sultry ad campaign, and the pieces will retail for just under $1,000 to around $25,000. The collection includes charm bracelets, earrings, necklaces and rings, and is indeed loaded with imagery that is classic Italian, both religious and superstitious. There are both gold and handpainted ceramic charms with pictures of the Madonna, bejeweled crosses, charm necklaces that resemble rosaries, as well as hearts, beautiful filigree, and lots of good luck charms such as horseshoes, four leaf clovers, cornicellos, etc.